Today I present a song that I’m sure the majority of you are familiar with in one form or another. I say that with confidence because as hip hop and other sample-based electronic music came prominently onto the scene over a decade after this track’s initial release, this extended vamp by James Brown and the JB Orchestra has gone on to be one of (if not) the most-sampled recordings in history. 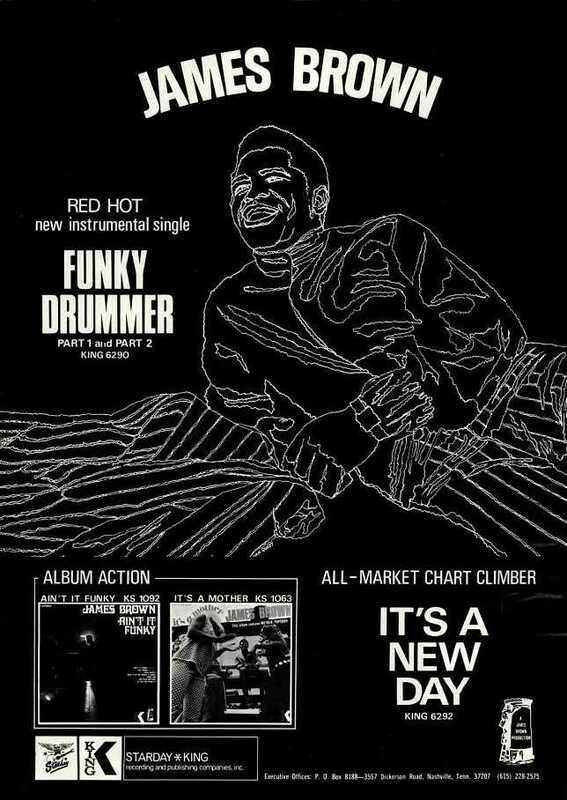 However, if you’ve never actually listened to “Funky Drummer” in its entirety you certainly should, as it is a rhythmic expression of pure joy, and an exceptional one at that! 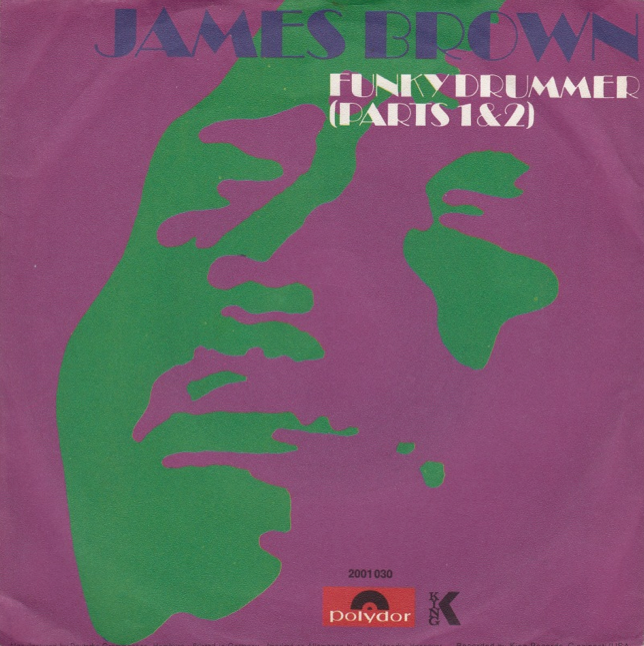 Recorded on November 20th, 1969 at King Studios in Cincinnati, Ohio, “Funky Drummer” was originally released as a two-part 45 in March of 1970. In the period between 1965 and 1975, Brown had 65 songs in the R&B top 40, and 44 of them reached up into the top 10. Over on the pop charts for those same years, Brown had 37 top 40 hits, 6 in the top 10 (Sisario, 2011). As “Funky Drummer” only reached No. 20 On the R&B charts, it was somewhat of a forgotten tune before being revived with its aforementioned prevalence as a sample. With this revival came its first album release, in its 9:13 full-on funk form with the 1986 compilation record, In the Jungle Groove. James Brown introduced the world to his “funk-bag” when, incorporating second line feel and “The One Beat” into his R&B sensibilities, he “subordinated harmonic development and traditional pop song form to the increasingly dense rhythmic fabric of the groove” (Doleac, 2013). And groove it does! JB drummer “Jabo” Starks has said, “So many things that were done weren’t written, because you just couldn’t. 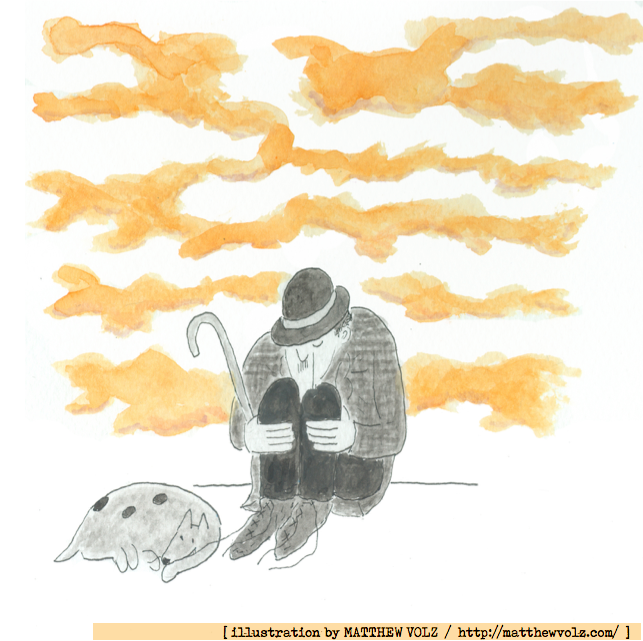 You couldn’t write that feel. Many, many times we’d just play off each other, until James would say, ‘That’s it!’” (Weinger & White, 1991). J.B.’s’ trombonist Fred Wesley would later say “The first rule when you went to work for James Brown: watch James Brown” (Weinger & White, 1991). This rule is demonstrated by the song’s most celebrated moment, which arrives roughly four and a half minutes into the recording and which supplies the tune with its namesake. James Brown tells the band: “Fellas, one more time I want to give the drummer some of this funky soul we got going here.” Brown then turns his attention to eighteen-year-old drummer Clyde Stubblefield, who modern drummer extraordinaire Ahmir “Questlove” Thompson has called “the most effective drummer that James Brown has ever utilized” (Sisario, 2011). Ever in charge, always directing traffic, James Brown soulfully suggests: “You don’t have to do no soloing, brother, just keep what you got… Don’t turn it loose, ’cause it’s a mother.” And with that, break beat history will be made! There is nothing demanding about this tune, there is no challenge put before you. You get the sense that they could do it all day and never get bored; somewhere, after the fade-out, the group is still vamping along. It’s easy. It’s all simply an invitation for you to strut your stuff, feel good and go for a stroll—and if this doesn’t help you stroll on over to the other-side of this frost-coated mid-week hump, then I don’t know what will. As a bonus—for those interested in learning a bit more on how a 7th grade drop-out raised in a whorehouse in Augusta, Georgia went on to become Mr. Dynamite, then Soul Brother No. 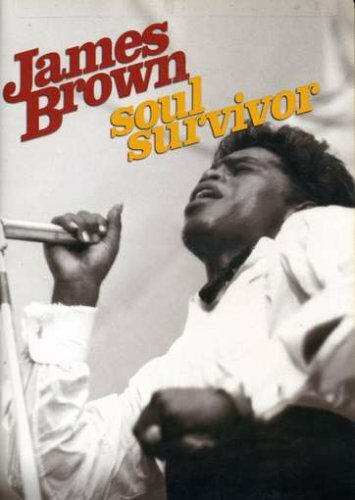 1, before eventually being hailed as The Godfather of Soul—here’s Jeremy Marre’s excellent 2003 documentary for PBS’s American Masters series: James Brown: Soul Survivor. Brown, J. (1969). Funky Drummer, On In the Jungle Groove [CD]. Polydor/Umgd. Kerouac, J. (1957). On The Road. New York: Penguin Books. “Psyko Funk” by Boo-Yaa T.R.I.B.E. “Beats to the Rhyme” by Run-D.M.C. “The Classy M.C.’s” by MC Quick Quintin and MC Mello J. This entry was posted in Clyde Stubblefield, Jack Kerouac, James Brown, Maceo Parker, On The Road, Soul Survivor on April 16, 2014 by Robert Calero.